Learn about the importance of Yoga, Meditation and Mindfulness during the Early Years. Yoga has reportedly existed in the east since at least 3000 BCE. It has developed throughout the ages to become one of the world’s most valued forms of physical, mental, and spiritual practice. Yoga is considered a moving meditation and can help introduce people to the importance of meditation, which in turn helps to induce mindfulness. Meditation has been practiced since 1500 BCE, and is seen as a way to reduce human suffering and bring a calm abiding peace to those who practice regularly. Mindfulness means to simply arrive and be present in every moment of one’s life; as though one is destined to be there. Being mindful is believed to help people enjoy their lives more fully and completely. Recent studies have shown that yoga, meditation and mindfulness help to improve the concentration of school age children. These practices help to alleviate concentration and mental health issues and teach children how to focus their minds. The earlier you engage your kids with mindful endeavours such as yoga and meditation, the greater the benefit will be for them and the sooner they will be enjoying a mindful, engaged and conscious life. Yoga brings awareness to the breath, this will be beneficial to your kids on a physical level as the increased oxygen flows to every cell in the body and optimises their function. On a mental level, yoga will help your kids realise the importance of breathing properly. To concentrate on the breath will also help your kids learn how to meditate and be more mindful of living in the present moment, free from past memories or future ambitions. Kids will reap the benefits on the physical level through engaging in the flow of yoga poses. They will improve posture, flexibility and decrease the chances of injury in their other sports. Yoga will also help your kids to become aware of their bodies and the importance of looking after them. Yoga practice teaches children to engage with others in a quiet, calm space where they must respect each other. Yoga teachers often give great insight into respectful practices that can be applied to all human beings; such as non-judgment, kindness and a sense of oneness. These concepts can be of great benefit to children in their early years as they can help them to develop a kind heart and positive attitude towards others. Yogic and meditation practice are both taught by experts who are trained in, and live by yoga and meditation. These teachers love to give their students snippets of kind hearted wisdom from their learned yogi and meditation journeys. Which is great for showing kids how they can be more mindful and conscious in their daily lives. For most kids, quiet time is not always their favourite, and it can sometimes be difficult to enjoy peace and quiet with young ones around. However, taking them to yoga or meditation classes can show them that relaxation time can be fun and rewarding. It is often easier to calm kids down in yoga or meditation class as they involve deep concentration and can present a challenge. Most kids love to succeed, often they become enthralled by the challenging experience and enjoy learning yoga and meditation with other children. When we think back, our early years seem stress free and wonderful. But this is because our lives have become much fuller and more stressful as adults. With so many things on our plate, we have forgotten what it was like to be a toddler. Young kids experience many different stressors in their day to day lives, especially because the world around them is fairly new and they often do not understand it. This in itself can be stressful, so add a bunch of strange kids at kindergarten and you can end up with a very stressed child. Yoga and meditation can help your child to subconsciously manage their stress. We know from adult yoga that slowing down, meditating and being conscious of the breath can alleviate the stress of the mundane day and bring us back to the present moment. The same concept applies to children and it can do them a world of good. Bring your kids into one of Sanctuary’s Early Learning Centres and give them the early gift of mindfulness. We at Sanctuary Early Learning, wholeheartedly believe in the benefits of yoga, meditation and mindfulness practice for young children. We have worked all three practices into our daily curriculum and know that your child will love and benefit immensely from such mindful practices. Contact Sanctuary Early Learning today, or come in to one of our beautiful centres to see how your children can grow and develop in the positive, mindful environments that we have created. 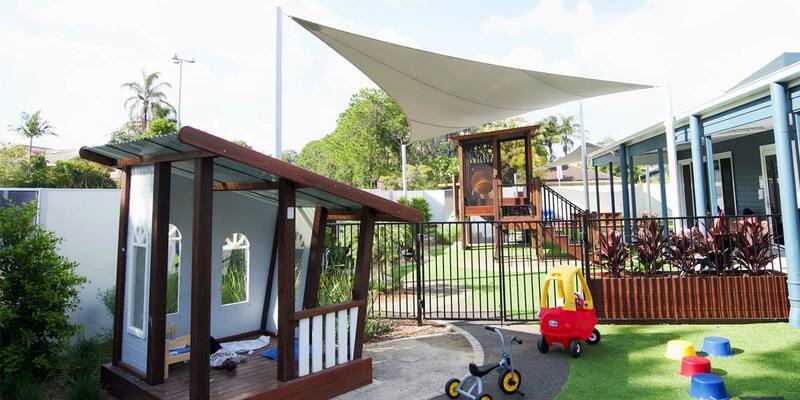 Sanctuary Early Learning have child care centres in Buderim, Mermaid Waters and Bentley Park. 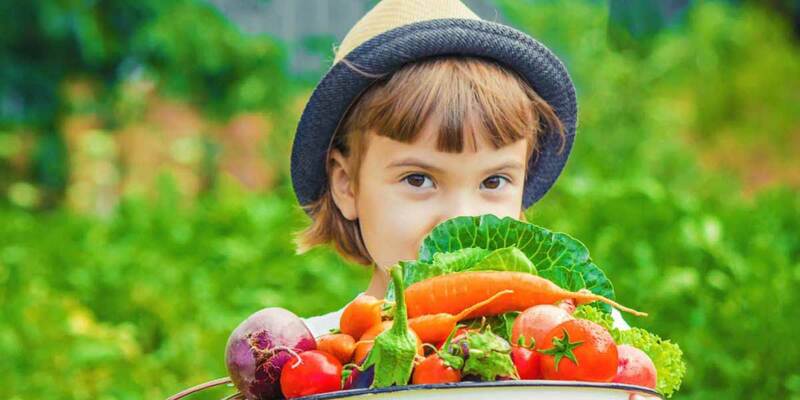 Being aware of your children's nutritional intake is definitely worth the extra effort. Read our latest article to see why Sanctuary Early Learning Adventure is the best child care centre out there. Storypark is a revolutionary software that helps your children to learn and grow. Enter your email and get our latest news, important information and notifications from Sanctuary directly to your inbox.